Body wraps and body wraps treatments are widely touted as a cellulite removal remedy. For example, here is an ad I found on a local deal-a-day site. I’ve removed the names of the business and the owners. Notice the clever use of wording they employ to hook the unsuspecting readers. Autumn might be the toward the end of the year, but it’s also a time for new beginnings. Cast off those extra inches with today’s deal from (BEAUTY SPA NAME) Pay $99 for two (DEVICE NAME) Far Infrared Body Wrap sessions (a $230 value). In each of these one-hour treatments, you’ll burn 900 to 1,400 calories and reduce the appearance of cellulite while enveloped in heated and restorative technology. With more than 12 years of experience in the industry, owner (SPA OWNER’S NAME) strives to help her customers lose weight in a stress-free environment. Start out this fall on the right foot with a safe and effective treatment that will make you look and feel fabulous. Want more? Check out (BEAUTY SPA NAME) on Facebook. There are many variations of body wraps ranging from tight plastic wraps to heated body zip-up bags (like elaborate sleeping bags). There’s no question, some of these can be beneficial. For example, the herbal/sea-weed body wrap can be great for skin care and skin feel. But none of these have the ability to get rid of the appearance of cellulite. 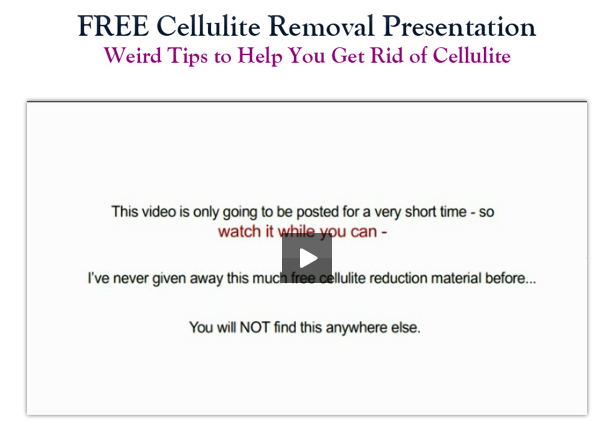 Furthermore, they can be extremely dangerous and they can make cellulite look even worse. Here’s an expose which was featured on ABC-News. NEW YORK, July 26th — Body wrap spas offer the allure of shedding inches off your waistline and are an increasingly popular beauty procedure. But critics say the only thing you’re guaranteed to lose is money. Consumer correspondent Greg Hunter found the mummy-like procedure might not live up to its promises. Furthermore, the Food and Drug Administration Web site says body wraps can be dangerous. One spa that offers the body wraps, Suddenly Slender Body Wraps, boasts that body wrappers can get a trimmer body by getting it wrapped with bandages soaked in minerals. Its ads guarantee that body-wrapped patrons will lose 6 to 20 inches from various body measurements in their first one-hour wrap. “It’s not uncommon to take someone down a dress size or two in two weeks,” said Victoria Morton, who founded Suddenly Slender and says she has 1,300 franchises worldwide. But experts say the wraps can cause severe dehydration and circulatory problems. “It’s all pseudoscientific gobbledygook,” said Dr. Victor Herbert, a doctor at Mt. Sinai Veterans Research Center who is also on the board of Quackwatch, an organization that debunks false medical claims. He says any weight loss that results from getting a body wrap is temporary, because it is water loss. But Morton insists the wraps do not just remove water. “It’s the waste! The stuff that builds up in the body and makes us old and makes us tired and quite frankly, makes us sick,” she said. Ann Schmid, a Good Morning America intern, and Cheri Knoy, a tourist from Plano, Texas, volunteered to test the wraps for Good Morning America’s investigation. At her New York City location, Morton demonstrated how a body wrap is supposed to work on Schmid and Knoy. “Pull your stomach in hard,” Morton instructed the body-wrapped patrons. She says the wraps are soaked in a secret mineral solution. Both Schmid and Knoy were worried that wrapping their bodies so tightly they could be risking their health. But Morton assures her clients there is no need to worry, and a week after the wrap, both Schmid and Knoy were fine. Morton claims she has done millions of wraps without any problems and denies there is a health risk. The next day she went back to Suddenly Slender to have them remeasure, and there was no change in Schmid’s waistline. Morton refused to comment on the measurements, and the owner of the New York franchise, Liz Adams of New York Body Wraps, accused Hunter of playing games with the measurements. Meanwhile, the body wrap volunteers questioned the wraps’ effectiveness. Knoy believed she may have lost a couple of inches, but wasn’t sure. “I’m wearing a dress. It’s hard to tell,” she said. Body Wraps says they have plenty of satisfied customers who have lost inches off their waists. But Dr. Herbert says any weight loss is temporary, and the only thing customers will surely lose is the $125 they paid for the wrap. Those who get body wraps take a risk. The only way to lose inches, he says, is through exercise and good nutrition. Since the body wraps dangerously pull excessive amounts of water from the body, the skin has even less of firm support base under it – and because of that, any woman with the bumps and dimples we call cellulite, will have even more bumps and dimples with saggy, droopy skin. Not a pretty site and not a good feeling. There’s only one way to reverse the cause of cellulite bumps and dimples. When you tone, firm and lift the muscles which sit under the cellulite zones – the muscles then gently push outward against the skin layer – smoothing it out and giving it a tightly toned look. Feel free to send this page to anyone you know who needs to hear the truth about body wraps and body wrap treatments.